French scientist Bernard Heuvelmans coined the word Cryptozoology to describe the study of animals (cryptids) that are supposed to be extinct. While not a mainstream scientific discipline, the people who study Cryptozoology try to maintain a scientific approach. In recent times, people exploring remote locations have found animals once thought to be extinct. The Cadborosaurus may be one of the cryptids they have found. The Cadborosaurus is a sea animal seen many times along the northwest coast. It made several appearances Cadboro Bay, British Columbia, which led to its name. 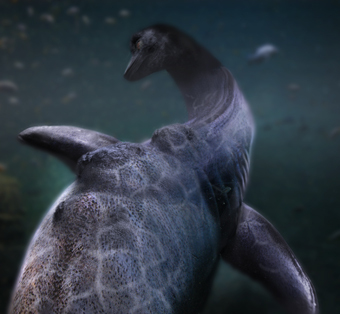 Many people there described it as having a long neck and a head like a horse, with a body that could be over 20 feet long. Some describe it as having a series of humps on its back when it swam. It is sometimes described as having fur, other times a smooth coat. Its color has varied from green to brown, but the physical proportions are remarkably similar. 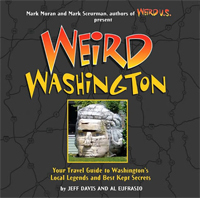 And the creature has been seen further south, in Washington. There is a long list of sightings along the Washington Coast. In the 1930s, a 20-foot long animal with a curved neck and horse-like head was seen at Neah Bay, at the tip of the Olympic Peninsula. In 1934, near Waldron Island in the San Juan Islands, a sea critter swallowed a duck that had been shot by hunters. Several local people saw the animal in the area a few days later. In March 1953, two women from Klamath Falls sighted a Caddy while vacationing near Port Townsend on the Strait of Juan de Fuca. One of them was a trained biologist and she gave a detailed description of the animal. She saw what looked like a tree limb about a quarter mile offshore. It submerged, only to reappear again a few minutes later, even closer. The exposed portions of the animal were over ten feet long, with three humps, a partially submerged body, and a long, curved neck. The neck was about six feet long, and its head was about two feet long. The animal was a dark brown color, with orange reticulations in a giraffe-like pattern. The creature's head was flat, and behind it was either a lowered fin or mane on the neck. The sighting lasted about eight minutes before the creature submerged and disappeared. In 1991, Phyllis Harsh found a stranded baby “dinosaur” in the San Juan Islands. The animal had become beached, and she used a tree branch to push it back into the sea. From time to time marine carcasses have washed up on Northwest shores. In 1936, a twelve-foot long critter with a goat-like head washed ashore at Aberdeen, Washington. Attempts were made to study the supposed Caddy remains, but when an animal dies and rots at sea, more than their flesh falls off. Most fish bodies are a mix of true bone and cartilage, and if allowed to rot for long, the cartilage falls off, leaving only the bone and a skeleton that does not look like that of the original animal. There have been a few other cases of live Caddys being caught, if only for a little while before escaping into the cryptid depths again.